A relaxed Rosmah, wants normal life to resume. What about Bamboo River Resort? Free accommodation, food, spa treatment, security and activities await. What a cheek! Shameless and unapologetic to the very end. That is what the former Self-Styled (she gave herself this title and even had a website on the Prime Minister’s official website) First Lady of Malaysia is. Bad habits are very difficult to get rid of. She added, “We are taking it quite well. I think we’re quite relaxed, being a family of politicians. This is just one of those trials and tribulations, hazards of being in politics”. 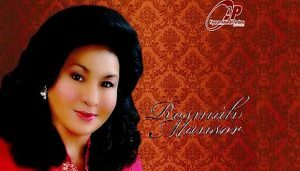 Does Rosmah not understand? This is not one of the hazards of being a politician. It is one of the hazard of being a criminal. She added, “It’s another life, but I’m not complaining. I’m not asking for this kind of life, but it’s a much more relaxed life when I can do my thing. When I feel like sleeping, I can sleep. When I feel like waking up, I can wake up. This account has come from from the woman whose husband allegedly took the rakyat’s money and pretended he did not know how it ended up in his personal account. She and her family lived a luxurious life, wined and dined with the rich and famous, with foreign royalty, with celebrities, with Hollywood Actors. Her son stole rakyat’s money and bought eye-wateringly expensive houses in America. She was not aware that back home, the rakyat could not afford three square meals a day, could not afford medicine or the taxi ride to the doctors when they fell ill. She is shameless. She fills most people with contempt. 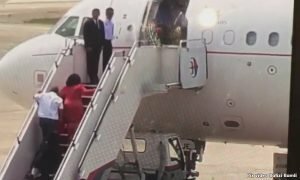 She used the government’s private jet and carried several suitcases on the flight to Turkey, in an expose by Rafizi Ramli. What had she in the suitcases? Did the suitcases return empty, or with contraband goods and were the original contents parked abroad. What was in them? She was the patron of the PERMATA program for gifted children. She is aware that the majority of ordinary schoolkids do not have a decent education. PERMATA received hundreds of millions of ringgits when the money could have been spread more widely in improving our children’s education. The mainstream media were terrified of her, because it was alleged she had the power to sack people whose reporting of her husband and herself portrayed them in a bad light. When the rakyat were furious that a gem costing one hundred and seven million ringgits (USD27 million) was linked to her, there was a lot of denial and finally she said that she had saved up for that gem, since she was a teenager. Did she really think we were that daft? What is “normal” for her? Many lives were blighted by her profligacy and the lack of accountability and responsibility of her husband and his Cabinet. They tricked and stole from the rakyat. What does her alma mater, Tengku Khursiah College really think of her, now that she has fallen? Are they stark raving mad? They want him to steal more of their hard-earned money? Bodoh-nya! “It’s another life, but I’m not complaining. I’m not asking for this kind of life, but it’s a much more relaxed life when I can do my thing. When I feel like sleeping, I can sleep. When I feel like waking up, I can wake up.” – Roast-mah. Sounds like a jail life for me..